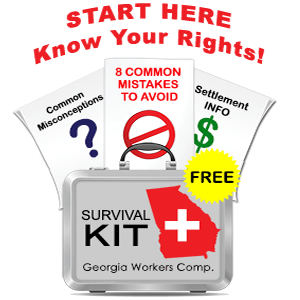 Home » Frequently Asked Questions » Can I File for Bankruptcy While my Workers Compensation Case is Pending? Can I File for Bankruptcy While my Workers Compensation Case is Pending? when you file bankruptcy your attorney will run a median income test as part of a “means test” analysis. The median income test looks at your household earning during the 6 months prior to the month you file bankruptcy to calculate an average. If you were working and earning your regular salary during this 6 month lookback, your average monthly income will be too high (since your workers’ compensation TTD benefits are only 2/3 of your wage). This could erroneously exclude you from Chapter 7 or make your Chapter 13 payment too high. both Chapter 7 and Chapter 13 assume that your monthly income will be stable and steady. Your workers’ comp TTD may last for 6 months or 6 years – but we won’t know right away. Filing bankruptcy (especially Chapter 13) under the assumption that your TTD benefits will always be there is dangerous. when it comes time to settle, you will likely receive a substantial lump sum payment. There is a good chance that your work injury settlement will be exempt property but you need to discuss this issue with your bankruptcy lawyer. Finally, remember that your workers’ compensation benefits are protected from seizure or garnishment by a civil creditor like a credit card company or medical provider. Often it makes sense to hold off on filing bankruptcy until after your workers’ compensation case is over since you are most likely judgment proof while your workers comp case is active. Ginsberg Law has an active personal bankruptcy practice and you can speak with either Susan Blum or Jonathan Ginsberg at 770-393-4985.